Categories: Children's Adoption Books, About Adoption, Books for Ages 5-8, Books for Ages 9-12, Children's Adoption Books by Age, Classic Adoption Books, Tapestry Picks. 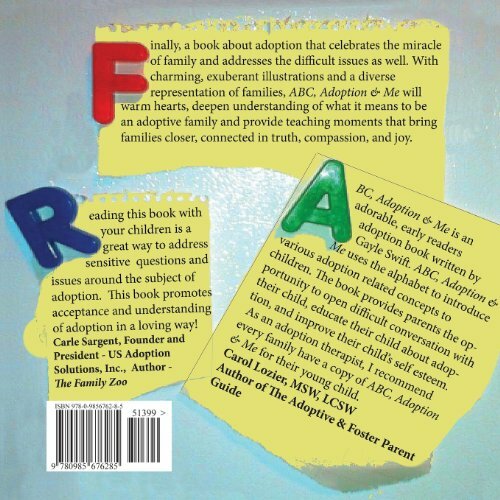 A child’s review: “Most adoption books only talk about the good part of adoption. ABC shows adoption from the kid’s side.” ABC, Adoption & Me expresses their complicated feelings in a way that makes them feel normal and which makes it easy for them to discuss with their families. Includes a parent guide. 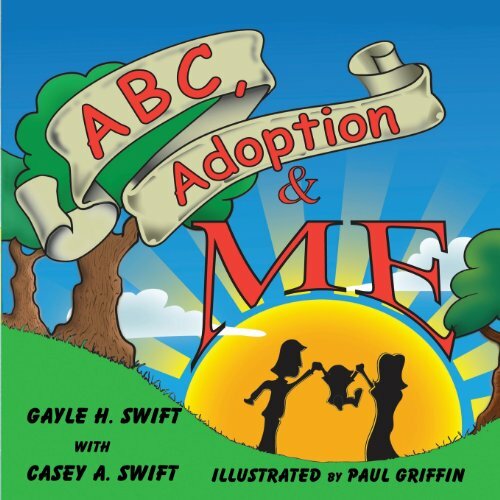 ABC, Adoption & Me celebrates the blessing of family and addresses the difficult issues as well. Exuberant, multicultural illustrations depict a wide range of families. Includes a parent guide.